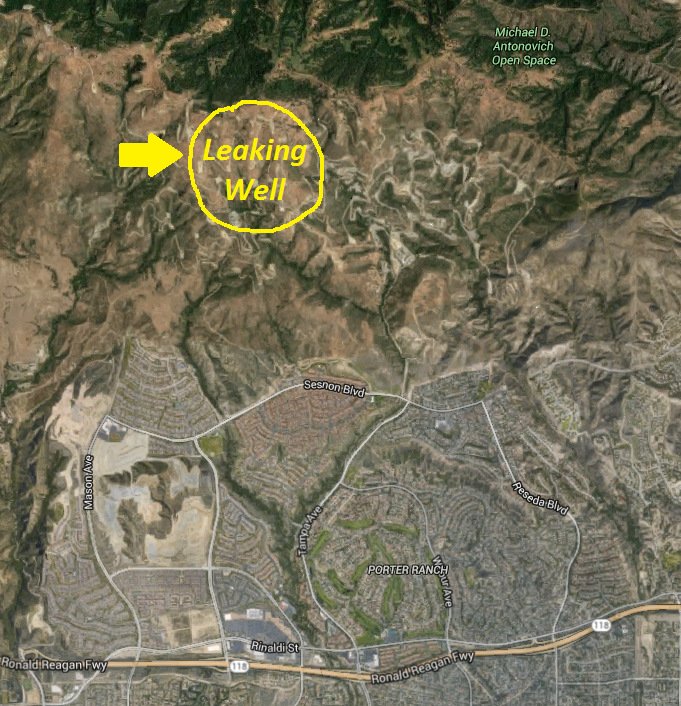 Last week, it appeared that the Southern California Gas Company was close to containing the flow of natural gas coming from a monster leak at its Aliso Canyon storage field in Northridge, California. Now, four weeks after it started, the leak persists, and data released Friday, from the California Air Resources Board shows that the uncontrolled emissions of methane, the primary component of natural gas, is having significant climate change impacts in addition to affecting public health. Using data collected from airplanes flying near the leak site, and supported by data gathered from vehicles, satellites and nearby air monitoring platforms, the Air Board’s initial estimates show the rupture at Aliso Canyon has released methane gas with an estimated warming impact over the next 20 years equivalent to carbon dioxide emissions of 2.6 to 2.9 million metric tons. While these estimates are likely to be refined over time and compared to facility estimates of lost gas, conducting aerial methane surveys to calculate emissions rates is a proven scientific measurement method. These are staggering numbers, even in their preliminary form. At a calculated rate per hour of about 50,000 kilograms of methane emissions, this single leak is likely responsible for over 25% of the state’s daily total methane emissions from all sources, including landfills and agriculture. Depending on when it is fixed, this one leak is also likely to single handedly double the methane emissions associated with natural gas use in California this year. The data also reinforces concerns about public health. With at least 500 odor complaints filed with the South Coast Air Quality Management District so far, local health department officials have ordered the gas company to help affected residents living nearby with relocation assistance due to ongoing health concerns associated with the persistent fumes. In addition, the State’s Oil and Gas Agency (DOGGR) issued an emergency order for the company last week to turn over records related to the event, including a plan of action to stop the leak. Meanwhile, local groups like Save Porter Ranch and the Porter Ranch Neighborhood Council continue to educate residents and put pressure on the gas company to stop the leak. No one yet knows how long the pollution crisis at Aliso Canyon will persist – though it’s now clear that the severity of impacts on nearby residents and the serious longer-term problems associated with the release of methane is far worse than originally thought. As this incident shows, and as we wrote on November 11, the mega-leak at Aliso Canyon shows the type of risks we face as more of the natural gas infrastructure ages – and should be a wake-up call for everyone that improved oversight and stronger regulatory guidelines are needed to ensure that gas stays in the pipes where it belongs. 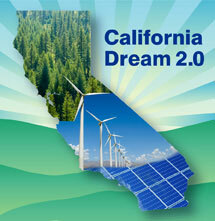 In California, meeting long-term climate targets requires reduction of climate pollution across the economy. At an estimated emission rate of 50,000 kg of methane per hour, it will have the same impact over the next 20 years as emitting nearly 3 million metric tons of carbon dioxide per month. So, not only does the Aliso Canyon leak represent an incredible waste of usable natural gas, it presents a major setback to the state’s ongoing efforts to cut methane pollution. The first priority is for SoCal Gas and the state to use all of the tools at their disposal to stop this leak, and prevent others from happening in the future. But the second priority needs to be a full accounting of the gas lost to the atmosphere and to identify solutions to make this right, including reducing methane emissions statewide at amounts at least equaling the total lost from this leak. This post was updated on November 23rd. Thank you Tim for getting out statistics on really how severe this leak is, and could be, if it takes many more months to stop it. Please keep informing the public with updates as to what is happening. As a resident of Porter Ranch, I am very concerned about what damage has already occurred, both from this leak and possible other practices on the site, to my health and my environment. Thank you for your comment. We agree this leak is very serious, and we plan to continue providing updates on the situation as they are available.